Before I even start talking about this wine, I would like to offer some advice: Always read the label. Ok, read on. Yabby Lake doesn’t sound like the greatest place, yabby rhymes with shabby. However, this lake is on the Mornington Penninsula which sounds like a lovely place to enjoy a cup of coffee out on your porch, if you do that sort of thing. This Yabby Lake Chardonnay was a pretty bright yellow in the glass. It had a pleasant nose that was fruity, smelling of apples as well as vanilla. But, I did not read the label. It states that this wine is aged for 10 months in oak. One third in new oak, one third in year old oak and the remaining third in two year old oak. Would you like some oak with your oak? Something I learned long ago is that I do not, repeat do not, like my chardonnay over-oaked. In fact, I prefer it naked (or least wearing next to nothing). Since I did not read the label, I was not expecting so much oak flavor. It had some nice acid in the background and the vanilla taste was there as it was in the nose. I tried so hard to get past the oak and search out the fruit. All I got was perhaps a touch of pear, but with each sip it's hard not to simply feel like I’m licking the inside of an oak wine barrel. I’m instantly taken back to earlier this month, while tasting at Woodside Vineyards, when I had the opportunity to stick my nose into a brand new barrel made of French oak. It smelled fabulous. But I had no desire to lick it. All this being the case, this wine is not going down the drain, and not only because it was $25. Its not bad and I don’t hate it. It is a good wine, just has more oak than I prefer. As I learned at last month’s wine club, the chardonnay tasting, many people enjoy oak in this amount so I don’t think its even over-oaked. This wine has taught me to read the labels of chardonnay. Closely. And to enjoy the rest of this bottle with a hunk of strong cheese. Admittedly, this wine isn’t really a “learning” wine. I already know I love riesling. I know that something called Prickly that promises effervescence is right up my alley. Its not like I’m trying something like this for the first time. But, at only $10 it seemed a sure thing, so I couldn’t resist. 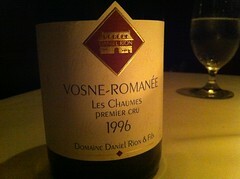 It was super light yellow in the glass and had the distinctive nose of riesling. I always have the most difficult time describing the nose and flavors of riesling. It's so distinctive to me; riesling smells like riesling! This one smelled citrusy, but less so than the Alsatian riesling from a couple months ago. As I knew, it was a very easy drinking wine. It was super low in alcohol (in stark contrast to the grenache!) at only 8.7%. If I wasn’t being so mindful of my sugar intake I probably could’ve had half the bottle or more without even realizing it! 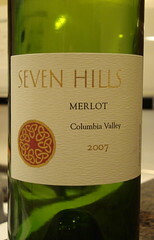 It had a nice balancing acidity to counter the sugar, that was reminiscent of grapefruit. And, perhaps my favorite, the slightest fizz. Ok, let’s learn something. 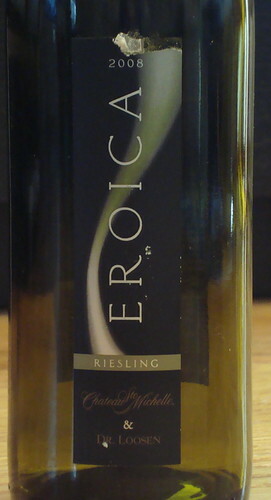 This wine is 83% riesling and while it tasted like it could have been 100%, it was 17% something else. That something else is Muscat Gordo. This is not a noble grape variety, by any means. Its also known as Muscat of Alexandria, having thought to have originated in Egypt. 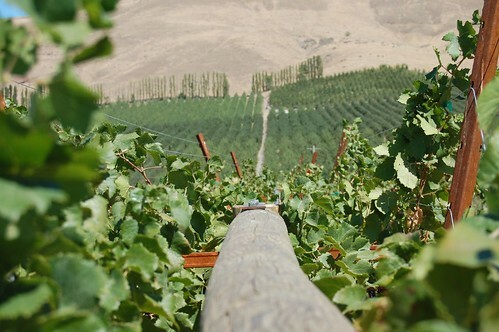 However, except for Australia and South Africa, its not often used for wine production. Extensively grown in California for raisins, and “under glass” in Britain and the Netherlands for table grapes, it has a lack of finesse and its major contribution to wine is sweetness. Throughout most of the world people do not do as I did with these grapes, for they eat them rather than drink them. We started with the grenache because it didn’t have a spot in a wine fridge (the pinot won the last one- it was more expensive). 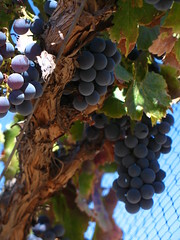 Grenache is typically used in blends and is commonly grown in Southern France, Spain, Australia and the San Joaquin Valley here in California. It needs a hot climate since it's a late ripening variety. 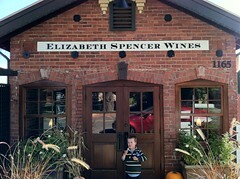 I’ve had a few 100% varietal versions lately though, including one from our favorite Napa winery, Elizabeth Spencer. 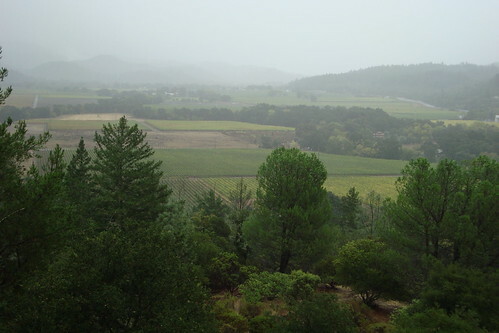 Grenache is supposed to be spicy and berry-flavored, with little acid or tannins. This one, from Jasper Hill, was a dark ruby red color. It smelled like ripe cherries and raspberries and a bit of spice. 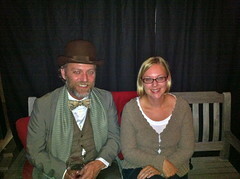 I leaned towards anise, just a bit licorice-y. Overall it had a strong fruity scent. It was indeed, very big and bold. True to type, it tasted like all manner of berries: blackberries, blueberries and raspberries. Instead of tasting anise, I tasted a hint of cloves. Also true to type, it was high in alcohol at 15%. This was undoubtedly a new world style wine. I really liked it, but one glass really knocked me down. My head was spinning a bit when Evan nursed at 4am the next morning and then later in spinning class I was ridiculously sluggish. Myles complained of the lack of tannins- but he’s a tannic man. I definitely liked it, but I also prefer my wine with less alcohol. 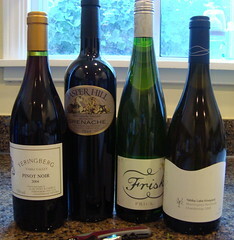 I thought I needed to leave Europe for a while and try some New World wines, so I honed in on the Southern hemisphere. A friend suggested, and then it became obvious, that I should choose a region in Australia. 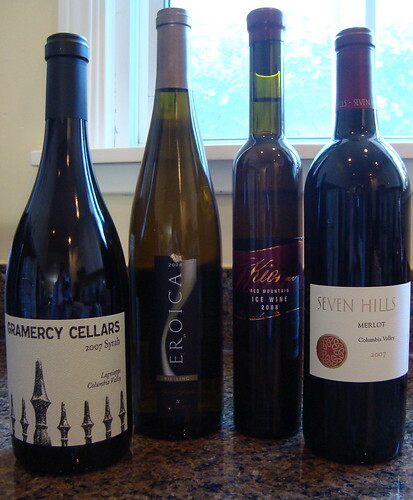 For those of you that actually read my first post (if not, find it here), you know that I came of age with wines in an Australian wine shop. I always felt that Australian wine offered good consistency for very reasonable prices (as long as you don’t buy Yellowtail Chardonnay- bleck! ), but for few exceptions couldn’t ever afford to buy much from the shop, instead I purchased at the grocery store. Now that I’m not 22 anymore, I can afford to try some of the good stuff. I arbitrarily chose Victoria first. Victoria is full of small wineries, but still hasn’t recovered from phylloxera in the late 19th century when the government encouraged the destruction of vineyards in an attempt to wipe out the pest. Production is now only half of what it is in South Australia, that has never been affected by phylloxera. 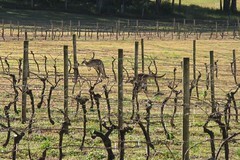 The area is the smallest and coolest region on Australia’s mainland for grape growing, and kangaroos apparently like to snack on the grapes. 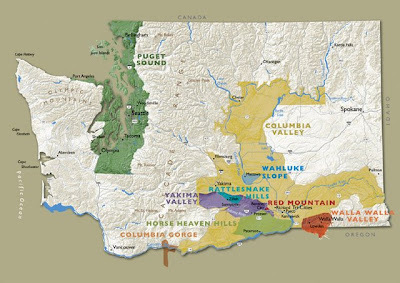 With fourteen wine zones (i.e. 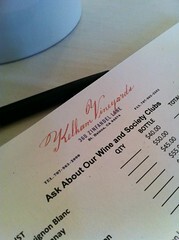 appellations), I couldn’t possibly taste a wine from each (even if I could get a wine from each). 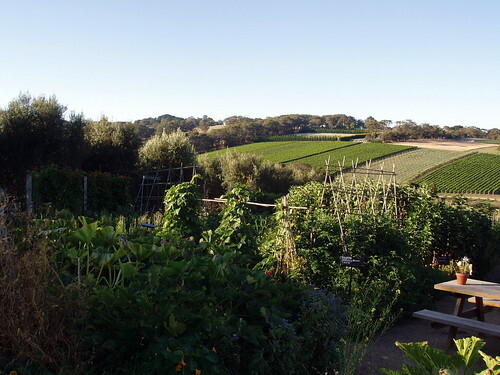 The best known region is Yarra Valley, which is so close to Melbourne, its a northern suburb. Pinot Noir is one of the wines done best here, so I picked up one of those. Victoria being such a cool region, they are also known for chardonnay, so I grabbed one from the Mornington Peninsula. This little strip of land is due south of Melbourne, jutting out into the water. Jasper Hill, a winery credited for putting Heathcote on the map is the maker of the third wine. Although my book mentions the Shiraz grown here, I opted to save that variety for another time and instead picked up a grenache, one of the varieties I had specified I’d like to try from Australia. My fourth wine is one for fun. Low alcohol, a bit of sugar and some fizz, it seems. It’s the only “reasonably priced” (read: in the amount I used to spend on Australian wine) wine I purchased. Given the below average performance of some of the Friulian wines I’ve tried over the last few weeks, I was beginning to wonder if I was going to regret spending $50 on this wine. Its not like Picolit was on my master list, I just simply gave in to the uniqueness of this wine described by K&L as ‘very special’ and the fact there were only a handful in stock. What really was the deciding factor was reading about this unusual grape variety. The Wine Bible describes it as the wine that “probably shouldn't even exist”. Because of a genetic mutation many of the flowers simply fall off instead of becoming grapes, this is caused by a super low pollination rate. 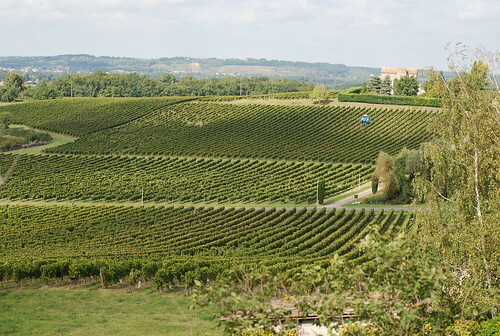 Thus a very small, or piccolo, amount of grapes are produced. Those that do exist are then dried on mats to concentrate the sugars and turned into this rare, and pricey, dessert wine. 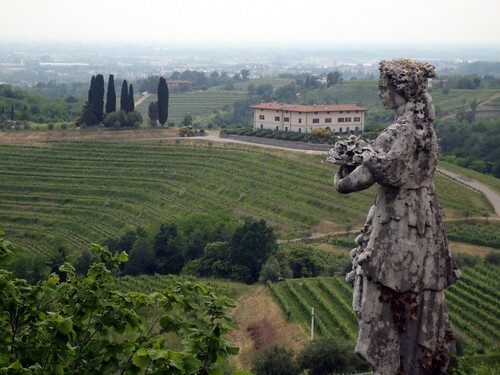 Like so many Italian wine grapes, Picolit is a regional one, this wine is made in the Friuli region. Period. It's a very golden honey color in the glass. It very nearly looked like a wine bottle full of honey. On the nose it smelled of honey (as was rumored), and sweet. I also thought it smelled a bit like peach pie with fresh whip cream, which while incredibly specific, was specifically what came to mind. There was a hint of nuttiness, I thought hazelnut, likely only because I associate sweet, yet nutty things with hazelnut because of products like hazelnut coffee flavoring and Nutella. Enough anticipation already-- how did it taste?! It was fantastic! It was lighter than I expected (perhaps because it could seem like one was about to drink a glass of honey). It was sweeter than honey, which when eaten straight up has a bit of tang to it, more like a light caramel. There were also peaches and some floral overtones. Just as the K&L description promised, however, it wasn’t too sweet, but very balanced. So good! Way to come out ahead in the end, Friuli. I have some buyers remorse on this wine. While Franconia (the Friuli name for the grape) is somewhat common, this grape is supposed to be one of the best red varieties in Austria, where its called Blaufränkisch. I should revisit it when I visit Austria at some point in the future. Its also grown in Germany (Lemberger), Bulgaria (Gamé), Hungary (Kékfrankos) and the Czech Republic (Frankovka). Its a grape with an identity crisis. Naturally, I was super nervous to open this wine. 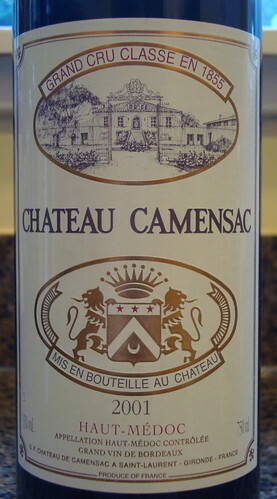 The other Blason wine was the one that went down the drain, and this one cost $2 less! So, we chose to open it on Labor Day when it was about 90 degrees out, while we were barbecuing steak. Low expectations and still some of the Friulano left in the fridge as a consolation prize. It had that awful bright yellow synthetic cork again and was quite a bit too warm (it didn’t get one of the coveted spots in my wine fridge and had been sitting on the sideboard since purchase). It was dark purple in color. So far so good. I simply drank it during dinner, as we were at a friend’s, and didn’t “taste” it and take notes until we got home. It was deemed drinkable at dinner, “not that bad”. Back at home I put it in the fridge for a bit to try and get it back to an appropriate temperature (as I doubt 85 degrees is preferable). 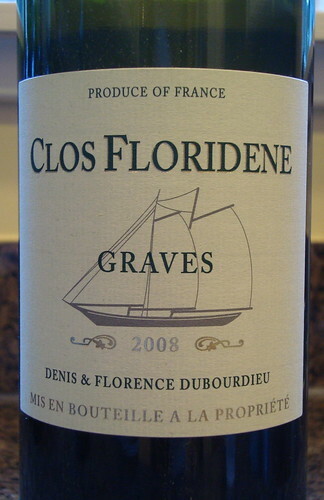 It smelled of dark fruit, cherries and blackberries, and a hint of mint. It was pretty light-bodied (and thus why we were able to drink it in 90 degree weather without suffocating) and very acidic. It was spicy, lots of black pepper, but pretty one-dimensional. The finish was ‘earthy’, in not that great a way, or maybe it was just ‘cheap’. It was much better in its overly warm state alongside our dinner than alone after dinner. Myles did the honors of finishing off most of this one. I had much higher hopes for this white wine after the debacle with the previous Friuli white wine. When I pulled out a real cork, I knew we were onto something. The wine was a bright golden yellow in the glass and smelled good, but would it taste good? The name Tocai Friulano sounds tropical to me, for some reason I think tropicana and then the Chiquita banana lady. Maybe that’s why I smelled bananas as the first, and most powerful, scent on the nose. It had an overall tropical vibe, with just a hint of peach. It tasted like bananas too. I’m starting to wonder if all white wine is going to taste like bananas! This one tasted like alcoholic bananas, almost like a banana flavored liquor. There was also a bit of honey and vanilla, as well as a woody flavor that may have actually been almonds, which is supposed to be one of the more pronounced notes of this grape. It was pretty acidic, which balanced the sweet flavors. I noticed that the label on the bottle actually only says Friulano. 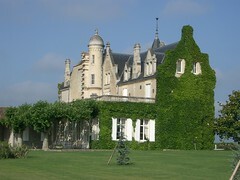 According to the Oxford Companion, the grape Tocai Friulano is actually Sauvignonasse. Tocai Friulano is the Friulan name for it. Apparently, a renaming was necessary, no explanation is offered as to why. 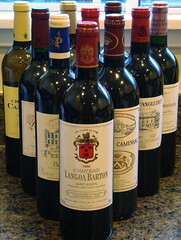 Under consideration were Sauvignonasse, Friulano and Vert. Looks like Friulano won out. 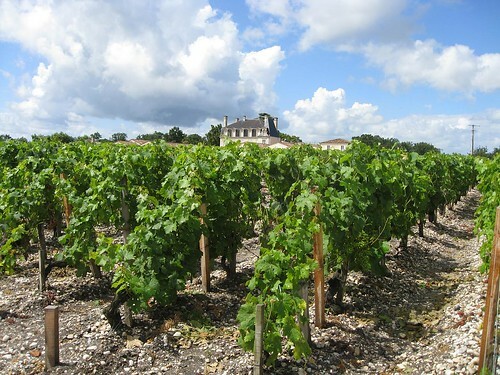 This grape consists of 30% of white wine grape acreage in the region and is meant to be drunk young. Mission accomplished there, we even used the last glass-worth in the sauce for our chicken a few nights ago, which means even Connor got to enjoy it! I finally got around to trying a red wine! I decided to try this wine for a couple reasons. First, I thought I should drink and blog about a red wine since I’d done all white wines, but mostly because refosco is an indigenous varietal to northern Italy (so it has history there). And being a unique varietal, I get another notch on my belt for the Century Club. Refosco is apparently a group of distinct red varieties. This wine is specifically Refosco dal Peduncolo Rosso (translates to ‘the red stalk’), which has a long history in the Friuli region. According to the Oxford Companion, it was used to produce the favorite wine of Livia, Augustus Ceasar’s second wife. Well there you go. 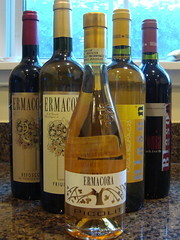 This wine, from Ermacora, was dark purple with bright pink hues around the edges (rather than brick colored, as this wine was young). 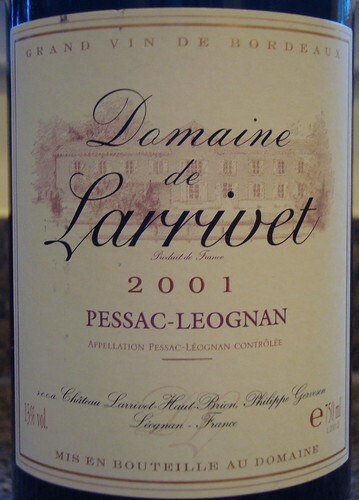 It had a fruity and fragrant nose, smelling of cherries and blackberries with a bit of black pepper. It was a pretty easy drinking red, the tannins were very mild, though at first I thought it was a bit hot down the throat. That sensation went away fairly quickly. 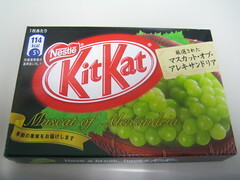 It also tasted of berries and black pepper, and I thought a bit of tobacco. The finish was very earthy. I’d describe it almost of tasting like dirt, but not in a bad way. K&L’s description described it a bit more appealingly as “gravel”. They said coffee, not tobacco, but otherwise it seems I was right on. Being that I don’t smoke or drink coffee I’m not particularly familiar with their tastes! 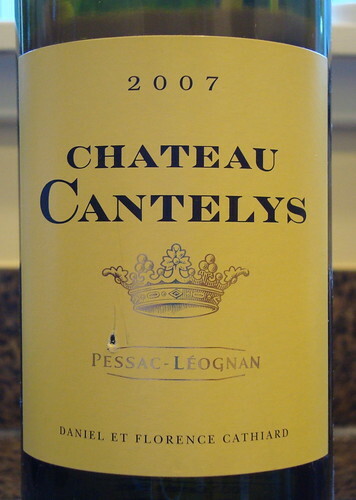 I really enjoyed this wine, and if I didn’t have a seemingly endless list of new wines to try and wine in my collection to drink, I’d certainly go out and get more. Since is was a medium-bodied red with low tannins, its a good summer red and would probably go great with dinner on the grill.